08.00 – On duty at Bournville Lane Police Station, we have a our team briefing, search the police database for crimes and any anti-social behaviour (ASB) incidents that have occured on our ward. Check emails. 09.00 – High vis foot patrol in the Bournbrook area of Selly Oak. Also went into our two electrical shops to look at checkmend (make sure they havent brought any stolen items!). 12.00 – 14.00 – Opened the police room at University of Birmingham and dealt with any enquiries that came in, whether it was question about living in Selly Oak or general safety tips. 14.30 – Returned to Bournville Lane Police Station for my lunch break. 15.15 – Up date the checkmend database and general office work. 16.00 – Booked off duty. 09.00 – High vis foot patrol in the Bournbrook area of Selly Oak, paying attention to insecure cars/houses as the students are going home for the Easter Break. Popped into a couple of the local letting agents to make sure that they will be visiting the empty properties over the Easter Break. 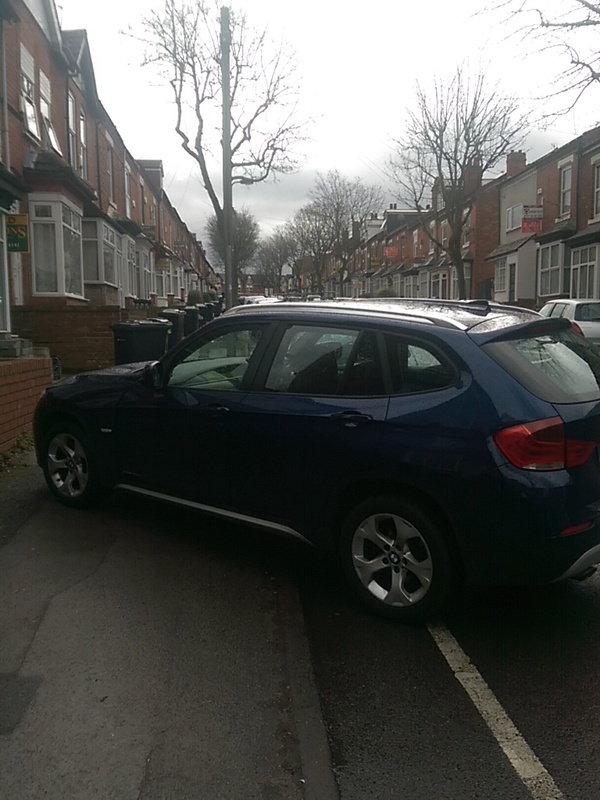 12.00 – Came across this good parking in Tiverton Road, which got a ticket for wilful obstruction. 13.00 – Returned to Bournville Lane Police Station for Lunch. 14.00 – Patrolled in the teams police car as we had to cover the Selly Oak and Bournville Wards. 16.30 – Returned to the station to up date the police database. 09.00 – High vis foot patrol in the Bournbrook and Selly Park area. Two reassurance visits. 12.00 – Monitor the junction of Pershore Road/Warwards Lane and Ribblesdale Road (no entry, means NO ENTRY!). 13.30 – Returned to the station for lunch. 14.30 – Reassurance calls and up date police database. This entry was posted in Community, Home and housing, Keep Safe, Landlords and Letting Agents, Police Weekly Round Up, West Midlands Police Birmingham South. Bookmark the permalink.